ASHANNA ARTHURMY FIRST PR BAG – L`OREAL PARIS !!!!! MY FIRST PR BAG – L`OREAL PARIS !!!!! Guys I am soooooo excited !!!!! Two weeks ago I had the most wonderful surprise. I went to a make up artist studio to collect some items and randomly had the best night ever !!!!! Here`s what happened- When I arrived I saw the studio set up really nicely, L`Oreal makeup everywhere, beautiful Makeup themed cookies and chairs laid out as though there was going to be some kind of presentation. I thought maybe a beauty class was about to happen so I was prepared to complete my transaction and leave. But then ……one of the Make Up Artists explained that it was a L`Oreal Product Demo set up especially for bloggers and asked me if I wanted to stay and participate. I thougt about it for a minute then I decided – YESSSSS !!!!! I want to stay, because …..MAKEUP !!!!!!!! I had plans that night but they got totally derailed – LOLOLOL. What I was most excited about is the fact that I got to test out so many L`Oreal products that I have been wanting to test out for the longest time. I don`t know about you but I RARELY buy a product now without having tested it first and sometimes in the drugstore there aren’t testers. So there are many products that I have been seeing at the drug store that look awesome that I want to test but haven`t been able to . I was really excited to be able to test these products at the demo. Two of the products I really wanted to test were the Silkissime eye pencil and Infallible Pro Glo Foundation. (VERDIT : Both Winners !) Honourable mention to L`Oreal Colour Riche – Blake`s Red . I really loved this lipstick shade ! I also really wanted to find out my shade in the foundation because I find the formula looks awesome but I wouldn`t want to purchase the wrong shade. So I was so excited at the demo when they told me which shade I should use !!!! Also I have been wanting to try out a clay mask, and get what I got in the goody bag ?? A clay Mask !!!!!! Is that amazing or what ?????????? Eeeeeeeekk !!!!!!!! Yea it was a lot of stuff ! (All items not in picture) . The Clay Mask !!!!!! (Obviously ), as I have wanted to try Clay masks for a while. Look out for a review very soon !!!! I think I will do the review in video format. From the items that I tested out at the demo there are some items I know I like for sure and that I would purchase. I`ve listed them below. Do you have L`Oreal products? Which ones are your favourite? 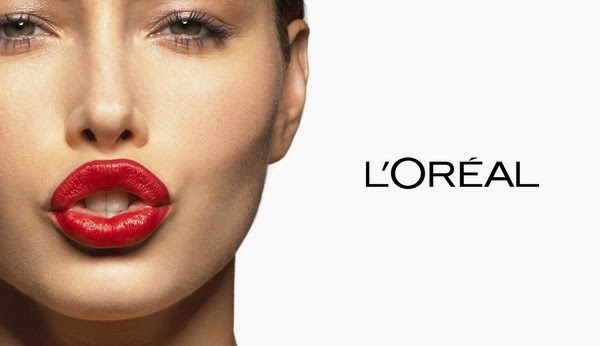 Which item from L` Oreal do you most want to try at the moment ? Let me know in the comments. Also let me know if you would like to win the L`Oreal giveaway ! If you want to enter the L`Oreal Giveaway follow the instructions on this post. ahahhaha. Yes girl !!!! It is a lot to test out !!!! Which mascara do you want to try ? The Lash Paradise?? ?